I watched my first live MMA fight in August 2006. Bodog Fight organized the event in San Jose, Costa Rica. I went in thinking the MMA wasn’t for me. Then Nick “The Goat” Thompson took the ring about midway through the card. 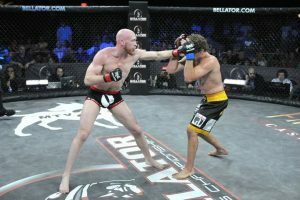 He battled Davion Peterson for 3 rounds, finally winning by a rear-naked choke submission. Before that moment, I lacked an appreciation for the training, endurance and power required to be a winning fighter. Almost instantly, I became an MMA fan. Thompson was already a MMA stud. His winning ways were a matter of record. He arrived at Bodog Fight night in August 2006 on a vicious tear, having lost once to Karo Parisyan in the previous year at UFC 59. 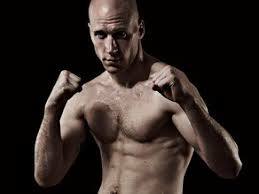 He went on to become Bodog Fight’s welterweight champion on April 14, 2007. Later in his career, he signed with Strikeforce. Thompson fought through 2011, amassing an impressive 38-14 professional record, 10 KO/TKO, 22 submissions and 6 decisions. This is page pays tribute and respect to Thompson. Here’s some info, stats and videos his fans should find useful. Review our MMA Betting tutorial to learn how to bet on MMA fights. Nicholas Delton Thompson was born June 23, 1981 in Virginia. He was raised in Minnesota, citing his hometown as Minneapolis. As a youth he enjoyed wrestling, rising to the top of Minnesota’s high school rankings by his senior year. He continued wrestling for 2 years at the University of Wisconsin, Madison. Chance led Thompson to the MMA. One night in college he watched a friend compete locally. He thought his wrestling abilities would serve him well in the sport. Thompson began training under Dave Strasser and Ron Faircloth. 2 weeks later he had his first fight. He struggled, losing his first 3 fights. He quickly turned things around, tallying a 17-8 middleweight record upon graduation. This perseverance was a sign of greater things to come. Thompson went on to complete a law degree at the University of Minnesota. While in school he trained at the Minnesota Martial Arts Academy. He began to fight at welterweight, recording an impressive 20-1 record. 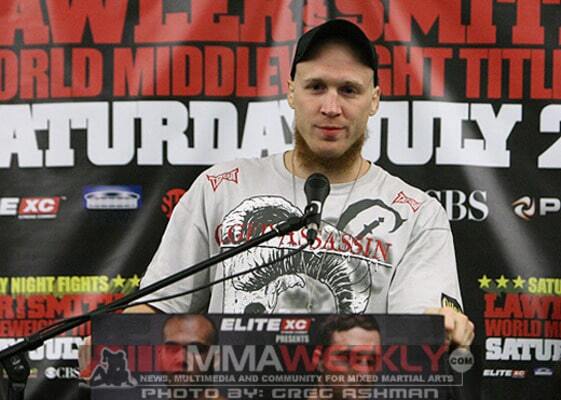 During this period he became the Bodog Welterweight Champion in 2007. He also fought in the UFC. Thompson finished law school in 2008 and continued fighting through 2011. He retired from MMA to become a successful lawyer. He’s been admitted to the bar in Minnesota, Wisconsin and Virginia. Thompson currently pratices at the Moody Law Firm in Portsmouth, Virginia. Nick Thompson fought in multiple MMA organizations and leagues throughout his career. Thompson’s debut fight follows each affiliation. Unforunately, The “Goat” isn’t an acronym for “Greatest of All Time”, though Thompson’s welterweight record stands among the best in history. It comes from the fainting goat phenomenon. Teammates assigned the moniker to Thompson because of his tendency to get easily knocked out early in his career. That all changed after substantial training, determination and experience. Nick Thompson retired after his fight with Ben Askren on April 10, 2011 at Bellator 40. Askren controlled Thompson throughout the fight, eventually winning by unanimous decision. Thompson posted the following statement at the UnderGround forum the next day, April 11, 2011. This statement is no longer live and was copied from the UnderGround archive. I have fought many great fighters, even beating a few along the way. In all those fights, I have never felt as frustrated as I felt tonight. Ben Askren is truly a great wrestler/grappler and I look forward to seeing him develop in the sport. I have been a fan of Ben’s since I knew him in high school and am appreciative that Bellator provided me an opportunity for my last fight to be against a fighter for whom I have such tremendous respect. I love this sport and all that it has given to me and it is with a mix of joy and sadness that I realize that I am no longer willing to pay the price necessary to compete at the level I expect from myself – the level of guys like Ben, Weedman and Heiron. I have reached a point where it is more important to me to spend time at home with my daughter and wife, who have been great about me competing, and focus on developing my law career at O’Flaherty Heim Egan & Birnbaum LTD, which has also been great about me competing. I am grateful for the many wonderful people who supported me and those I met in mixed martial arts, fans and fighters, and am hopeful that I can give something back to the sport I love by coaching and/or representing the next crop of mixed martial arts superstars. Nick Thompson married his college girlfriend, Molly. Nick was dating Molly the night he saw his friend fight while at U Wisconsin, leading him to start his MMA training. As of 2009, they have one daughter. He’s currently working as a lawyer at the Moody Law Firm in Portsmouth, Virginia. Edits and Corrections: Please contact me immediately, I’m happy to update this page with proper source citations.